Sorry you are so far away from the bench. I'll keep plugging away back here in Kentucky. I am working on that fourth axle and still thinking about those brake cylinders. I did find out that the front brake actuators are much smaller than the rear so I have two styles to create! Number 1 Front Axle - again please note; no gear head! Trumpeter's newly tooled HEMTT offering appears to make the same mistake; gear heads on every axle! I have been researching the kits as well. I noticed that I misspoke earlier about needing a set of printed rear brakes for the front of the Trumpeter kit. They are definately smaller for the front and attach differently as well. A printed update set for the Italeri kit would be most helpful. 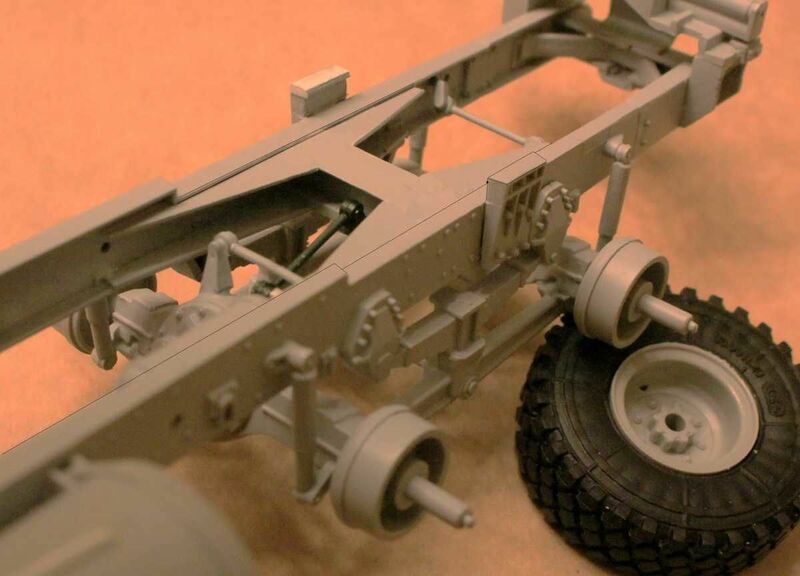 Front/rear brakes, 2 correct axle third members and a pair of steering boxes would really add life to the Italeri kit. great thread, I have 3 or 4 HEMTT on the go at the moment so watch with a keen eye. where did you get the HEMTT tech manual from, as I have been after one for a while. Something I failed to mention earlier: for some reason Italeri chose to only represent the bottom half of the rear H-frame strengthening member. Probably because at the time they only planned on producing the fuel browser and the cargo versions of the HEMTT where the top portion would hardly be seen but now Italeri is branching out so . . . . something is missing - as in the entire top layer of the H frame. 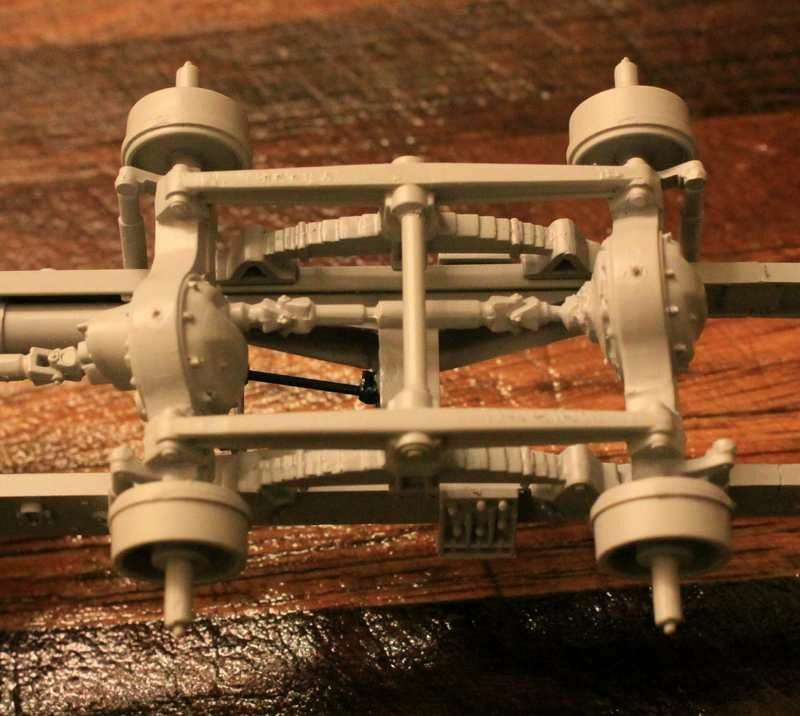 I mentioned earlier that the kit seemed to be missing a major front cross member over the forward pair of axles, well it looks like it is actually missing an entire front H-frame. Those are the front lifting towers (#65 & 67) so this diagram is definitely showing the forward portion of the HEMTT frame. Also I see the mounting fixture for the slave power steering gearbox (Part #78) so again, this is definitely the front of the vehicle and the kit is clearly missing the entire forward H-frame. I feel moderately bad about finding these various faults with this kit but that's the job I set out to do - so on we go! Looking really good. 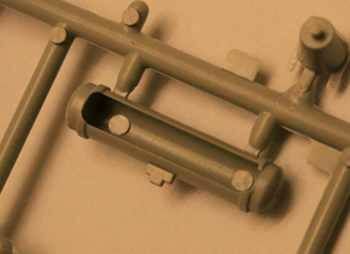 The Trumpeter kit is missing the same crossmembers at the front. The only difference is Trumpeter does have a complete rear H-frame. 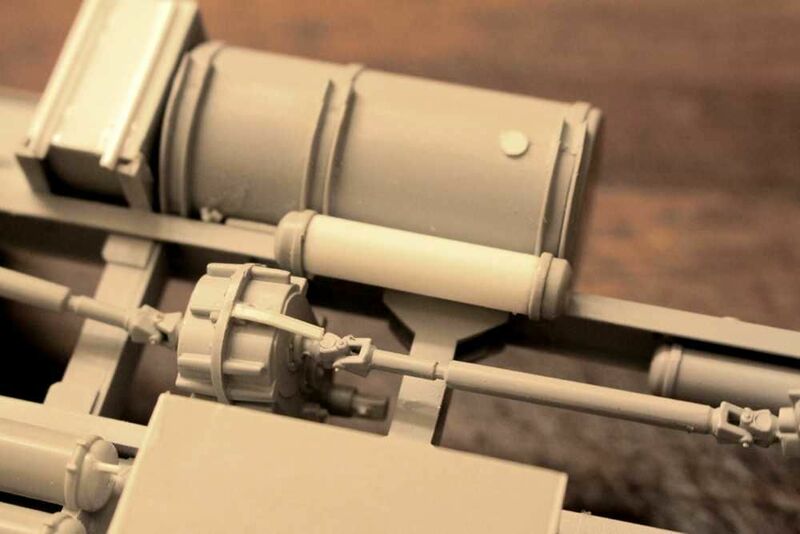 Of note on the front H-cross member, if you use the Real Model HEMTT engine sets (M977/M978 - Italeri, M983 - Trumpeter), both come with the the H-cross member and three other missing front cross members. The M977/M978 set also includes brake cylinders. Both sets have beautiful engines/transmissions, radiator, air cleaner, and PE parts. I highly recommend them. Got the M977 engine on order right now. Unfortunately it is not scheduled to arrive until the 20th. Great to know the brake cylinders are included. I did not know that. That will put an end to the brake problem! 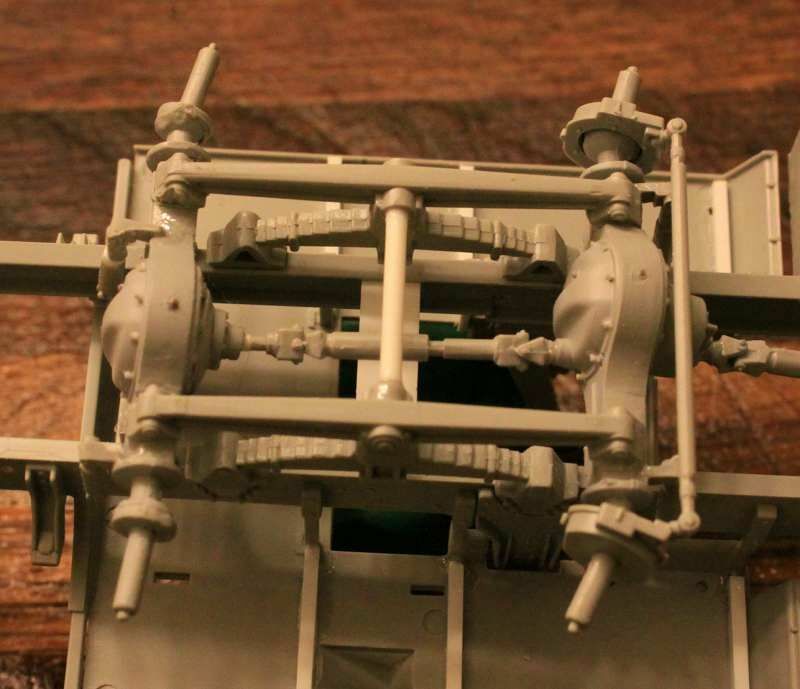 Pascal posted some close-up photos of the box art and the engine casting is absolutely beautiful! ALRIGHT! . . . . I am now four for four on the axle assemblies! Both outboard differentials have now been modified into simple (no gear head) diffs. 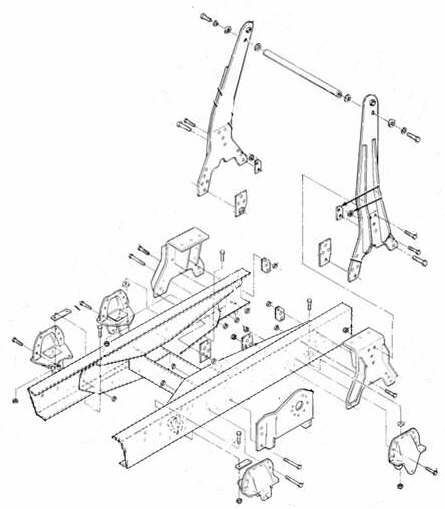 All diffs and the T-case have been angled as indicated in the drawing from the Tech Manual shown on page 1 of this thread. However, the truck I admit is in dire need of a good front end alignment! But that's OK cause I know a guy . . . . I came across your blog and you are doing some great detailing on the HEMTT. I'm hopping to follow it to the end. I have a couple of kits. OK, something here that is just not going to fly with me . . . . This is the third time I have encountered these ugly "half-tanks" on this kit. 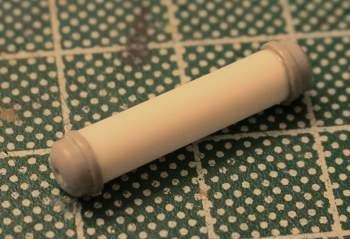 Making them this way is OK when the tank mounts up into the deep web of a C-channel frame member, or when it mounts on a much larger flat surface and you cannot see the missing side of the tank but this one? This one mounts right out in plain sight, hanging down below the left frame member. It is right next to that big gas tank. 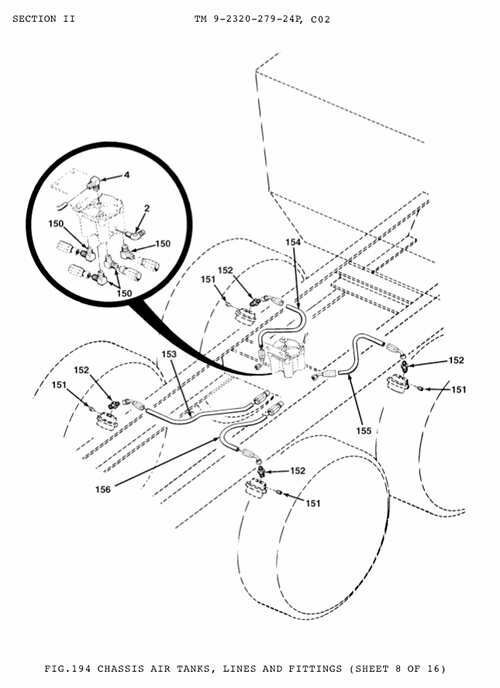 AND if you religiously follow the assembly instructions you would glue the gapingly open side of the tank facing the more visible center line of the truck rather than the other way around so it would be partly hidden by the gas tank. So time to do a little cutting and substitute a bit of plastic tube for the body of that air tank and make things look right. Ralph - good to have you onboard! I have been searching with no success. Has anyone ever done a review of the Real Models resin engine for this truck? I found a couple of Pascal's really nice close-ups photos of the engine casting but now I have lost track of even those! p.s. Clearly if no one has done a build review of this item then I will be covering here as part of my construction. Love the attention to detail. Looking great. . . . . . . . . . . . . . . REAR BRAKES . . . . . . . . . . . . . . . . . . . . . . . . . . . . FRONT BRAKES . . . . . . . . . . . . . 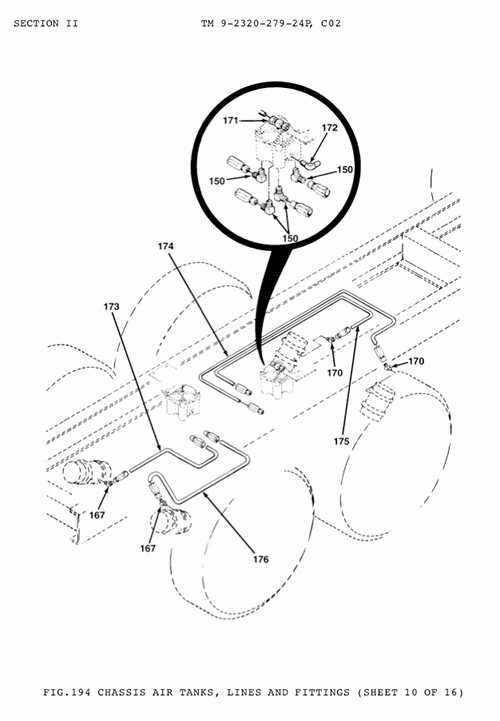 I may have missed this, but if you add the brake chambers, will there be S cams and slack adjusters? Frenchy - thanks very much, those are just the photos I was referring to! Dustin - correct me if I am misunderstanding but the S cams are actually located inside the brake drums and cannot be seen. 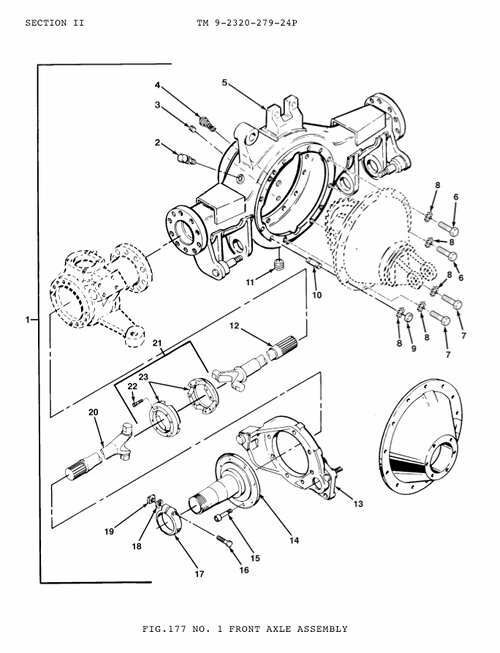 As to the slack adjusters I will have to see how Real Models does their brake castings and make a determination then.